Australia's center-right government returns to parliament on Monday for the first time since a divisive leadership battle and confronted with an opinion poll pointing to a heavy defeat at an election due by May next year. 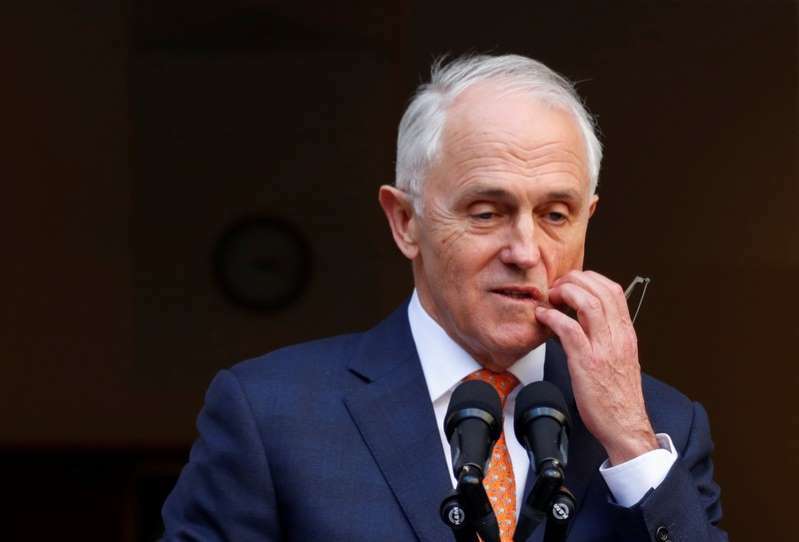 Indeed, a crushing defeat for the Liberal Party in a New South Wales state by-election at the weekend even brings into play the risk of the national government losing its majority when another by-election for former prime minister Malcolm Turnbull's seat is held. Turnbull was dumped by the Liberal Party, the major partner in the ruling coalition, in a divisive party vote in late August and replaced with Scott Morrison. Voters, faced with their sixth prime minister in less than 10 years, have not taken it well. A Newspoll in the Australian newspaper on Monday showed the coalition would lose up to 30 seats if an election was held now. It currently has a majority of just one in the lower house of parliament. The poll of 1,653 voters showed the opposition Labor Party ahead by 56 to 44 on a two-party-preferred basis in which votes for minor parties are distributed under preference deals. It was the 40th straight losing poll for the coalition and a sharp deterioration from the 51-49 result in the last days of Turnbull's leadership. Morrison has used his first two weeks in office to present an image of a down-to-earth dad and has toured the country telling Australians to love each other and promising a "fair go for those who have a go". The latest Newspoll showed his personal approval rating has improved. However, voters showed their frustration with political infighting by trouncing the state Liberal Party in the formerly safe New South Wales seat of Wagga Wagga at the weekend. Australian Electoral Commission figures on Sunday showed a massive 29 percent swing against the Liberals in first preference voting, prompting NSW Premier Gladys Berejiklian to blame the chaos in Canberra for turning people off the party. The disastrous result was an ill omen ahead of a federal by-election in Turnbull's normally safe Liberal seat of Wentworth in harborside Sydney. Turnbull vacated the seat after he was ousted by Morrison in a party-room vote. A loss would leave the coalition with a minority in the lower house and at the mercy of independent MPs to stay in power. Morrison already faces a hostile session of parliament where he is expected to be challenged about allegations of Liberal Party bullying during the leadership vote, particularly of female parliamentarians. Former deputy leader Julie Bishop criticized her Liberal Party colleagues over the fact that less than 25 percent of the party's members of parliament were women.